Two years ago, on the 22nd of July, Otto Lovik heard gunshots coming from a small island nearby. He ran to the boat dock. Otto and several others managed to save over 250 young Norwegians who were on the island of Utoya attending a summer camp for the Youth Labour Party. Utoya had turned into a bloodbath when a lone gunman went on a shooting and killing spree. It would leave 69 people dead on Utoya and another eight dead from a bomb explosion in Oslo. “I remember when we first went out to the island and back and in my boat I thought, those damn Talibans, those damn Islamists. I was sure that it was terror – Islam,” sighs Otto. But he, like many other Norwegians, would be proven wrong. When it was discovered that the lone killer was a right-wing extremist named Anders Behring Breivik, the Nordic country of just five million went into shock. Breivik justified killing his young victims because they belonged to the youth division of the ruling Norwegian Labour Party. As with the bomb blast earlier on the same day in Oslo which killed 8 people, Behring was targeting the government. A government he blamed for being too soft on confronting what he saw as the growing threat of Islam in Norway and the rest of Europe. 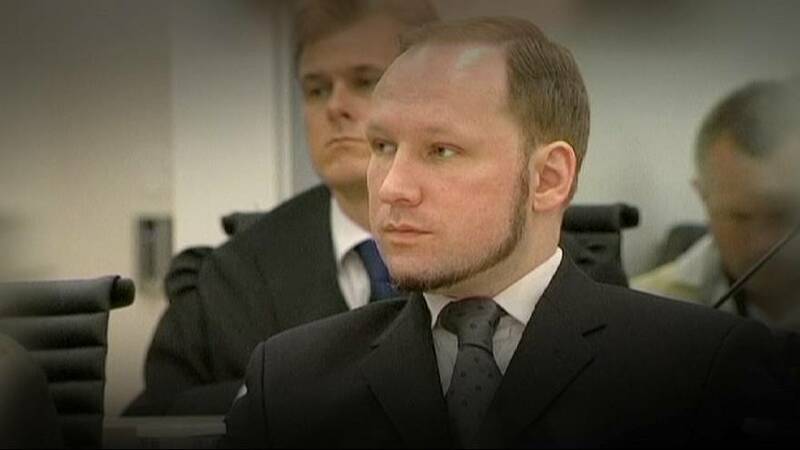 Although many deemed his acts those of a madman, Breivik was declared sane to stand trial and was given the maximum of 21 years in prison. Today Norwegians are still coming to terms with the question, ‘Why Norway?’ The national soul-searching has found some of its answers on the internet. Lars Gule is an expert on internet extremism: “It was very interesting to follow his court case because when he was asked to present his background, what kind of education does he have and so on, he claimed to have read a lot – ‘Oh yes, I’ve studied’. And when he was asked to identify books and authors it was all from the internet. And when we look at his so-called manifesto or compendium we can see what kind of websites he has visited. And they are the right-wing, right-radical or right-wing extremist websites. That’s where he picked up his information. That’s where he shaped his world view to a very large extent,” said Gule. Ronny said that while most of Norway’s 200,000 Muslims are moderate there about 30 extremists who are dangerous. Ronny argues his group is not right-wing extremist. And he has the support. He gets over 5,000 hits per day on his website. “Most of the Norwegian people agree with what we say. It’s the media who have created this image of us as extremists and racists. But we are just everyday Norwegians who love our country. Most Norwegians realise the government isn’t doing anything. They just give and give and give to people who take advantage of the system. And the government asks nothing, nothing, nothing in return,” he claims. Angry with the government but for different reasons, Halvar Abdel-Rahman Pettersen recently converted to Islam but says he has been a Muslim in spirit for years. Halvar blames Oslo for being too easy on right-wing extremists and also for oppressing Muslims throughout the world. He said before the July 22 killings, he was ready to join the terrorist war. He wanted to buy a farm, which was the only way to get fertiliser of the type that Breivik used to make his Oslo bombs. Now he says his fight is through words and on the internet. Norway has long prided itself as an open and democratic society. An oil-rich nation which has shared its wealth both within and beyond its borders, a country many claimed would be the last place you would expect extremism or a terrorist attack. This year, like any other, members of the Labour youth party are preparing for summer camp. Except that, post 2011, no year is like any other, any more. There will be no return to Utoya any time soon. The head of the AUF Labour Youth Party, Eskil Pedersen, was on the island during the massacre. He said the lessons from the tragedy have yet to be learned. Freddy and Cathrine Lie lost a daughter and a sister, Elizabeth, during the Utoya killings. Cathrine was also on the island. She was wounded and is still recovering from her injuries. The young survivorhas guilt and the questions, especially when it comes to the gunman’s logic behind how and why he killed. “I decided to crawl near the water so he wouldn’t see me. But I didn’t manage to reach the water in time. At that very moment, he shot me in the back and the bullet came out through my stomach and perforated one of my lungs. There I was completely exposed, out in the open. And he saw me but he didn’t shoot me again. I fainted,” she says, very slowly. In fact Breivik did come back and shot her again, in the arm. Her sister’s funeral was postponed till she came out of hospital. Today Freddy says he is only now able to grieve for Elizabeth – a father’s grief over a death that was so public, tragic and controversial. In September Norway will have its first elections since the Utoya killings. Killings some say the government could have done more to prevent, that the warning signs were there. But for many others, it was a tragedy that has still left Norway searching for answers.